Tyler practices in the real estate and energy industries working on deals throughout the United States. He represents developers and real estate companies in all aspects of their projects, such as portfolio and single asset acquisitions, dispositions, financing (debt and equity), leasing, property management, new developments and redevelopments. Throughout his career, he has worked on most product types, including, multifamily, master planned single-family communities, office, retail, industrial, hospitality, mixed-use, mitigation banks, and electric generating facilities. He also represents manufactures and other industrial companies in managing their real estate portfolios. He is experienced representing financial institutions and investors in workouts and Texas foreclosures. 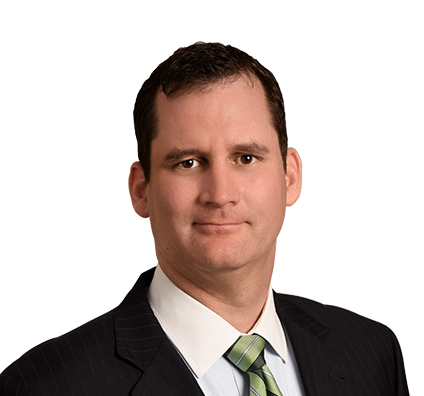 Before joining Husch Blackwell, he was a Partner at Brown McCarroll. Development and sale of new multi-family projects in Arizona, California, Colorado, the District of Columbia, Florida, Maryland, New Mexico, Oregon and Texas. Acquisition of a portfolio of 19 multifamily properties in Florida, Louisiana, South Carolina and Texas in a tax-exempt bond financing for a nonprofit corporation. Acquisition program for multifamily properties in Arizona, California and Texas for a core investment fund of a Wall-Street investment bank. Purchase of Class A office portfolio with more than 700,000 rentable square feet in Scottsdale and Phoenix, Arizona. Purchase and repositioning of a 1.2 million square-foot Class A office and retail mixed-use project in Dallas, Texas. Development and retail leasing for a 400-acre mixed-use project in the Dallas/Fort Worth area. Redevelopment and disposition of the Prestonwood Mall in Dallas, Texas. Senior loan on a portfolio of restaurant properties located throughout Southern, Northeastern and Midwestern United States. Acquisition of a portfolio of over 1.3 million square feet of industrial facilities throughout California for an industrial REIT. Construction loan for a developer for a medical center in Lubbock, Texas. Outsourcing of facilities management for 434 properties in the United States, Canada, and Mexico for an international manufacturer. Development and disposition of 1,850 acre wetland and tidal habitat mitigation bank in Houston, Texas. Foreclosure and later disposition of a 145,000 square foot office building in Austin, Texas for an investment bank. Real estate due diligence for a 120 megawatt wind facility in West Texas. Financing of 632-megawatt coal-fired, electric-generating facility in South Texas.